You may have noticed this week we are all about women. Having posted a different woman every day on our social media channels with some information on who they are, we thought it was about time you get the full answers to their interviews. The women we have featured have all been selected as finalists for the Venus Women’s Awards under the category we are proudly sponsoring; Social Media Influencer of the Year. This award is to celebrate those women who have truly dedicated their time to branding, content and reaching a wide audience via social platforms to engage, empower and support others. The commitment to their work and cause is seriously impressive, and we are honoured to have been part of this process. Before we move on to the Q&A, it’s worth mentioning that this week has brought to light some important messages. The Venus Awards focuses on celebrating women in business, where there is still a lot of work to be done to bridge the gap between men and women in positions of power. Figures and statistics vary depending on the source, but in the 2018 FTSE 250 companies list only 2% of those had female CEOs. This is along with the pay gap crisis makes for disheartening reading, but incentives like the Venus Awards along with the general feeling of progression in society, means there are small victories to be had and the business world is moving forward. Female only gym classes are no new thing, but they are as popular as ever which again shows that the concept is still valid for making its participants comfortable. The Bridge is a great example of this (https://www.thebridge-uk.org/) but there are many similar all over the UK. OK, that’s enough from us. Let’s move onto the finalists! 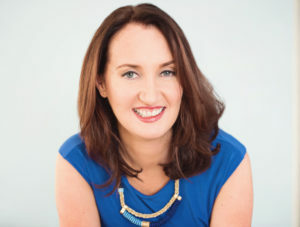 Starting with award-winning entrepreneur Abigail Barnes, founder of https://www.successbydesigntraining.com/ . Abigail is an executive coach for time management and author of popular guide, Time Management. We interviewed her on her business and journey. What advice would you give someone who wants to start their own business but is scared to take the first step? Have you come across any prejudice being a woman in business on your journey at all? Do you think there has been a shift in attitude towards female entrepreneurs? “I would say there has been a big shift in attitude about women in business. Personally, I haven’t encountered any prejudice as a business woman. What is your overriding message/influence aim with your brand and content? “I truly believe in the power of social media to connect people globally and locally, to start conversations and to create collaborations around shared visions and values. The intention of every post/story/video I share is to spread hope, proof of what’s possible and inspiration to give things a go. I love receiving messages from people that follow my content updating me on their breakthroughs and life changing results from trying something I have shared, sometimes I will find these things out years later. This year I started a book club and the business/career and life transformations from this have been phenomenal. Everyone is only ever one belief away from a totally different life and no matter how difficult things may seem there is always a way out. When I was 19 a stranger handed me a post-it note, the contents of which became the foundation for how I live my life today, albeit I slightly adapted what it originally said ‘Winners always find a way!’. Next up is Rae Radford, founder of www.WhatsNewUK.co.uk. Rae offers her services as a social media consultant for small businesses, helping them get discovered and flourish. She’s pretty good at it too, having helped win the Small Business Sunday Award for 52 of her clients! Have a read to hear how Rae sees the impact of social media in marketing and also touch on the unfortunate sphere of internet trolling. Is there one particular mistake or downfall people make when it comes to promoting themselves/their business on social media? Since your time in the industry, do you feel social media is now taken seriously as a marketing strategy? Though it’s hard to know how the opposite would feel for comparison (! ), how was it starting a business as a woman? Did you find any difficulties or resistance based on that? 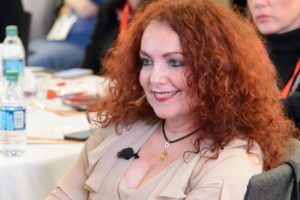 Jennifer Corcoran founder of My Super Connector is our third interviewee. Jennifer helps her clients engage with others and make lasting, relevant business connections and is extremely passionate about this being a staple in business. Just how important are connections to business? Is it really who you know rather than what you know? Connections are everything in business. It doesn’t matter whether you are selling a product or a service. We live in an age of personalisation and people buy you and your ‘why’ at the end of the day. It’s so important to be mindful of your personal branding in business and be authentic to your core values in order to attract your target audience. I believe that it’s a combination of who you know and what you know results in business success. There is no point in having a fantastic skillset or product / service if the right people don’t know that it exists so having an online presence and being visible at face to face events is essential in order to develop the important know, like and trust factor. Do you feel like being a woman has hindered any aspect of your business at any stage? Wow this was a tough one. I would like to say No but the biggest block to my business at times has been my mindset and I tend to find that a lot of female business owners aim for perfectionism which in turn overwhelms them resulting in procrastination and inertia. Men in this respect seem to tackle things more head on and learn on the job. I don’t like to generalise as men can also suffer from imposter syndrome but in my experience the biggest failing or hindrance that women have in the workplace or business is their mindset and lack of confidence which can hold them back. Over time I’ve learned to surround myself with positive and strong women and men who have each other’s backs and can encourage and support each other through the good and bad times. As a business owner I’ve had days when I’ve felt like a lion and others like a mouse. Being positive and taking consistent small steps (and some brave big ones when you feel like a Lion) is the way to power through it. 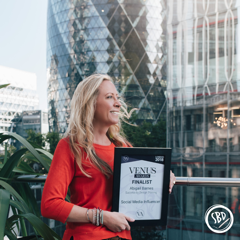 Entering an award like the Venus Awards is fantastic for your confidence and it also opens you up to a network of amazing women who are performing at their highest level which is both motivating and inspiring. What do you find to be the most successful way to approach people online for a response? I’m a lover of LinkedIn and always have been. In my previous life I was crowned the most networked PA in London on account of my online networking. 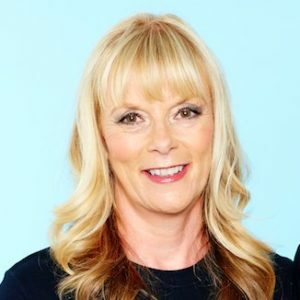 I use LinkedIn to connect with peers, suppliers, colleagues, influencers, ambassadors and also a place to establish my authority and personal brand through my content. For me it’s a fantastic database full of business connections in a business mindset and with nearly 600 million people in the world on it and about 25 million in the UK, it’s certainly worth the investment. If I’m attending a networking event or conference I love to get the guest list in advance and reach out to connect. For me it’s a warm introduction as I’m very much an introvert (albeit a chatty one). Then when I get to the event in question I’m recognised and approached and we have already started to build a relationship and that all essential know, like and trust factor. The next best option is to connect afterwards. My top tip is to always personalise everything online – let people know how you found them, why you want to connect and how you can help each other. Be social and consistent and give value as opposed to broadcasting. Social media is all about informing, educating, motivating and inspiring yet too many people use it to promote themselves and giving back to your network is key really as it invokes the law of reciprocity. I love connecting who have a synergy. It takes two minutes and is a great way to give back and pay it forward. I’ve always loved connecting people. For me ‘connection’ is why we are here. It is what gives purpose and meaning to our lives. We are all connected and in order for authentic and engaging connection to happen, we need to allow ourselves to be seen. This is where I come in to help my clients achieve magnetic engagement with their target audience. We have one more finalist to share with you. From across the pond in New York, no less, we have Mariela Dabbah, founder and CEO of RedShoeMovement. Mariela is an advocate for promoting women in business, building leaders and raising confidence skills within the group. The Red Shoe Movement has a huge following and supports women and men wanting to empower females in the workplace (and beyond). Mariela gave her views on some key topics below. Do you think female empowerment has improved since you started the Red Shoe Movement? As in, are you finding that women seem to have more confidence in the workplace? I’ve started the Red Shoe Movement almost 7 years ago. And yes, in the last few years women are much more confident when it comes to expressing their ambitions. They are quickly learning how to position their requests, how to manage the tone so that the message is delivered effectively and being assertive is not penalized. They’ve learned how to create productive relationships with potential allies and champions who advocate for them when they are not in the room. They’ve become increasingly clear on how to create a memorable personal brand and how to talk about the value they bring to the table. So yes, I’d say you can see a much more confident group of female talent in our workplaces. Obviously, this is not the doing of the Red Shoe Movement alone. There’s been a confluence of social and historic forces at play that have facilitated this moment in time. Of the women you work with, what is the biggest or most common concern women have in business? There are a couple of concerns that come to mind. First, the need to be available 24/7 affects women particularly as they are still the person mostly responsible for their family life. While this continues to be a requirement of executives, it remains tough for women to pursue those positions. So organizations need to figure out more effective ways to work with all executives. What is the overriding message you try and portray when influencing your audience? The Red Shoe Movement works inside and outside of organizations. Inside: We provide female talent with leadership skills so they can move to the next levels of their careers, and we help companies remove any unconscious biases that may get in the way of female talent progression. Outside: We create marketing communications campaigns like #RedShoeTuesday and #RedTieTuesday that aim to provoke a global leap of consciousness. Every Tuesday we wear red shoes and ties to work to show support for women’s career advancement. This keeps up the conversation about what we can do together to change organizational culture in order to level the playing field for 100% of the talent. This type of initiatives provides high visibility to organizations leaders in the inclusion space. This year, for instance, on March 8, for International Women’s Day, we rolled out “Ring the Bell on the 7 Seas with Celebrity Cruises” a Red Shoe Movement Gender Equality global initiative where we echoed the UN Global Compact initiative with over 60 stock exchanges around the world “Ring the Bell for Gender Equality.” We had bell ringing ceremonies on the entire Celebrity fleet and all the offices of their parent company, Royal Caribbean. Here’s the recap video. The Red Shoe Movement became the #1 contributor on Twitter of the International Women’s Day hashtag #IWD2018 and of the hashtag used by the UN and their partners #GenderBell.